and is armed with limited knowledge such as how to determine arch height, or how to look for pronation and supination. 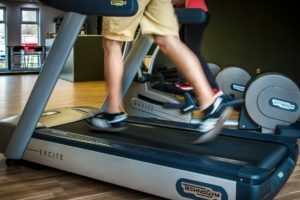 While the customer runs or walks on the treadmill, a footwear salesperson creates an eyeballed assessment of the customer’s arch height and arch movement. The salesperson then matches the customer with a specific shoe style or brand that most ‘corrects’ or ‘fixes’ what the salesperson has deemed unacceptable in arch height or function. This system is not necessarily gait analysis, but rather, subtalar joint or arch analysis. It is exactly this subtalar evaluation (only one joint in the whole body) which determines how most athletes pick their shoes. gait patterns demonstrated at that moment are always consistent and incapable of alteration. It’s possible to alter one’s gait, consciously or unconsciously, based off mood, fatigue, walking surface or even within the presence of music. It has even been proven that men walking with a woman they are romantically involved with will slow down below their optimal pace. 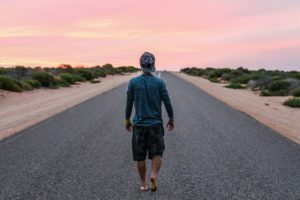 Additionally, there are predictable gait variations experienced while walking on pavement versus sand, as well as similarly experienced gait changes when an individual switches between dress shoes versus athletic shoes. In an extreme example, movement differs while wearing a ski boot versus a flip flop. These movement differences are not necessarily bad but demonstrate the wide range of movements that a body is capable of completing. elevation. 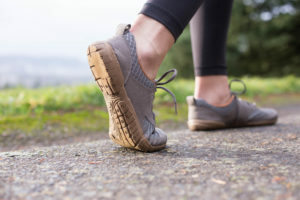 Many gait abnormalities decrease as foot muscles strengthen, so the ideal shoe sole should be flexible enough to encourage foot muscles to flex and contract. Strengthening or re-balancing of tissue is necessary for optimal functioning; however, strengthening of tissues takes time. 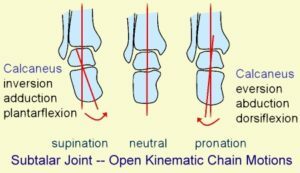 Returning to natural movement patterns via foot alignment and strengthening should be implemented slowly and progressively. Balancing and strengthening tissue by utilizing footwear that is naturally shaped, zero-drop and flexible will change gait patterns. It’s important to recognize that there is no one perfect human gait or ideal movement type that works for everyone, we each have our own individual ideal patterns. Natural footwear will help every individual to achieve their specific, ideal gait. Walking has never been something we have been exactly “taught”, walking has become part of the human checklist. As a child the goal starts with controlling the head, then from rolling front to back and vice versa, then the transition from army crawling to crawling, to standing, eventually finding the equilibrium to put one foot in front of the other in a repeated fashion with no stress on how much you may have fallen. But after that unless trained athletically for sprint mechanics overall gait has never been taken into consideration. 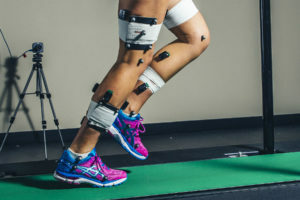 I like this blog as it does a great overview on how the gait begins at the ground and effects biomechanics upstream.The ideal linear movement pattern will efficiently line the skeletal system to perform optimally. Creating and enhancing current patterns is the intended goal. Understanding that every step is not going to be perfect but to constantly remain conscious in your biomechanics. Dr. Ray McClanahan, The Foot Collective, and Correct Toes are a few resources to utilize to discover more information in this field.